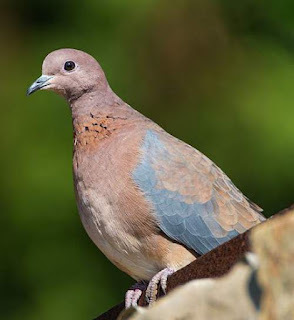 The laughing dove (Spilopelia senegalensis) belongs to the family Columbidae under the order Columbiformes. 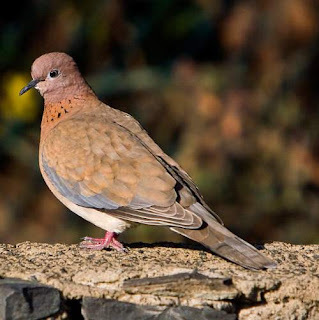 The family Columbidae includes about 42 genera and 310 species. The genus Spilopelia is a small genus with two species and is closely related to genus Streptopelia having fifteen species. The two species under genus Spilopelia are, Spilopelia senegalensis and Spilopelia chinensis. The species Spilopelia senegalensis was described by Linnaeus in 1766 and placed under genus Columba along with other pigeons. Later the species senegalensis was placed under genus Stigmatopelia. Then the species Spilopelia senegalensis was later placed in the genus Streptopelia considering certain characteristics. 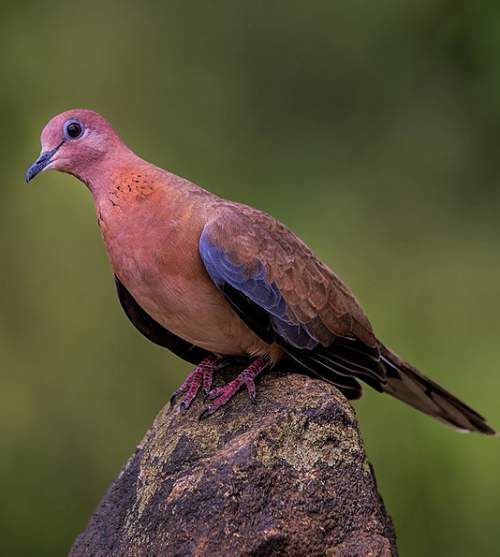 The study of molecular phylogeny of Streptopelia species indicated that senegalensis and chinensis stood out from the remainder of the Streptopelia spp. 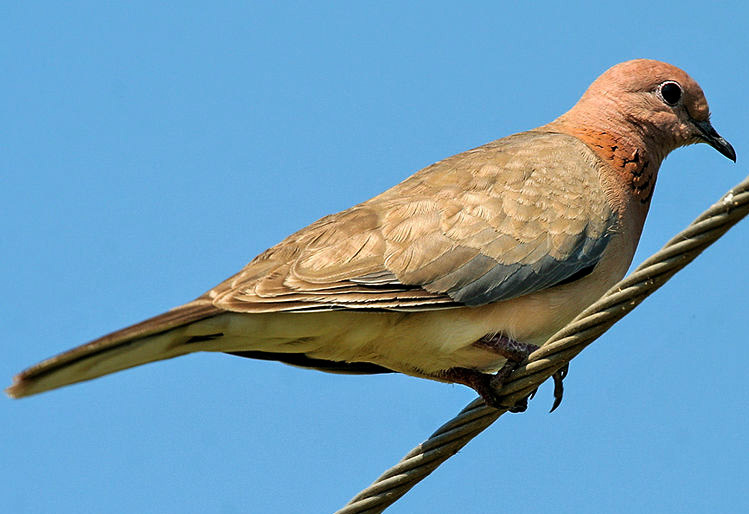 and hence both brought under genus Spilopelia. 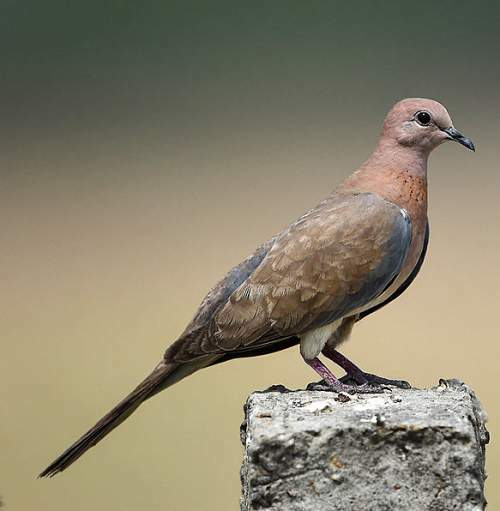 Considering minute plumage and size differences the species is divided into six subspecies. 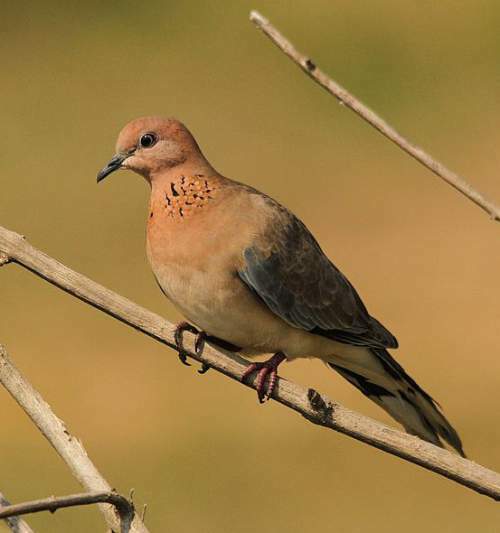 Current topic in Birds of India: Laughing dove (Spilopelia senegalensis) images.